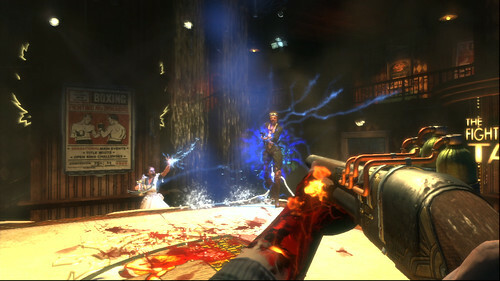 Rapture downloadable content package and the free Kill‘em Kindly downloadable mode are released simultaneously today. Thus both of these offerings are focused multiplayer DLC. The Rapture Metro Pack contains a rank increased to 50 and, when achieved, will get the chance to start again with the Rebirth mode. This will reset to Rank 1 with a Golden Bunny Mask, and an indicator of standing next to your name to mock the lesser organisms. But wait - there's more! If you do all the way to 50 again, you claim the coveted Golden Bucket, which essentially tells the world that you're so damn good that do not have to care. More meatily, the Rapture Metro Pack contains six new playable locations from Rapture’s history, many of them offering a distinctly different tactical focus than the original set we shipped with in BioShock 2. Design lessons from the live release of the shipping maps have been taken heavily into account with these babies. The Rapture Metro Pack also challenges you to earn three new Trophies, because hey — you’re going to want something to show Rapture who’s top dog. Finally, let’s talk about the free Kill ‘em Kindly mode. This melee-only game is all about stalking the dripping halls with a golf club and looking for prey — and then bludgeoning all & sundry to death. You might also offer a pithy quip of some kind, espousing your personal philosophy to the sub-human lump of gristle who had the temerity to face you on the field of battle. It’s entirely up to you.